I joined a quilt along over at happy quilting. We're making the star surround quilt, and there are so many options! First, decide how big you want to make it - a pillow? a picnic size or a queen? She's got it all figured out for you! 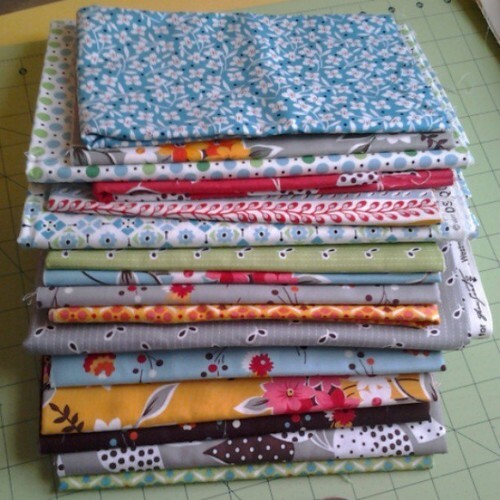 And Julie at the Intrepid Thread has some cool scrappy fabric kits selected for this QAL. Cherry Chocolate Cheesecake, anyone? I want to start a queen size one for our bedroom, but I was too nervous to cut into my precious FMF right off the bat. Instead, I chose some solids that will match, and I am making a 24" block for a matching pillow. If it turns out OK, I will feel better about chopping up all those pretties! So far so good. I really like the solids version too. I pulled a few more colors, and I may decide to make it an all solids quilt! 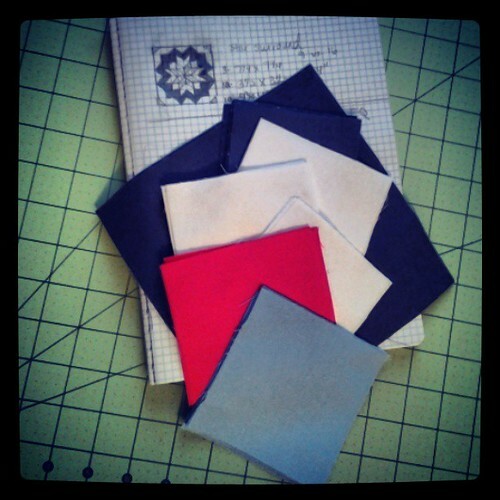 Christa Quilts has some fun solids kits made up as well! I love the dandelion grey kit. Want to play along? There's plenty of time to join in, and prizes for completing each week's assignment! Go check out all the details at happy quilting. The top fabric that beautiful blue flower print has got to beone of my favorite Joann's purchases! I used it to line a super tote now I wish I had more! Can't wait to see how it looks in your quilt! I love that you are doing a "trial" version beforehand. What a great idea :) And the solids are so pretty. Your pieces are looking great! !